What would you do with $339 million? London-based mobile operator Truphone gets to answer that question today, as the company closes its $339 million (£255 million) private equity round. This brings Truphone’s total funding to more than $430 million. The company will use the funds to retire its debt, help it “disrupt the trillion-dollar mobile industry and power the world’s connected devices,” and fuel its global expansion. Aside from its London headquarters, Truphone currently has offices in Australia, Germany, Hong Kong, the Netherlands, Poland, Portugal, Spain, and in three cities across the U.S. in New York, North Carolina, and Ohio. Founded in 2006, Truphone leverages eSims (software-based SIMs) to enable mobile customers to use their voice and data allowances across 40 countries without incurring roaming charges. 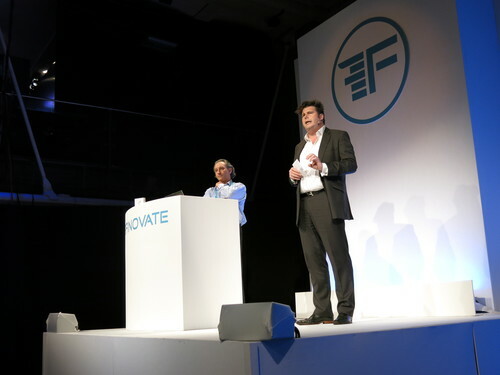 In addition to SIM-based data plans, Truphone also offers mobile plans for businesses and a mobile recording solution, which it showcased at FinovateEurope 2014. Truphone Mobile Recording enables businesses and banks to record, encrypt, and store mobile communications securely and without disrupting the user experience. The company has 350 employees across 10 countries. In July, Truphone formed a strategic partnership with Apple to allow iPad users to stay connected across 50 countries. Earlier this fall, the company earned its spot on the Inc. 5000 Europe list, which ranks private companies based on three-year revenue growth. Truphone, a mobile operator without borders, is working to make the world a bit more flat. The company announced today that it is leveraging the Apple SIM card to offer data plans for iPad users in the U.K. Founded in 2006, Truphone operates by patching together capacity from multiple carriers, enabling customers to use their voice and data allowances without incurring roaming charges. The company is able to do this by using eSIMs, software-based SIMs, rather than chip-based SIMs. The new arrangement covers roaming in 40 countries: Australia, Austria, Belgium, Bulgaria, Croatia, Cyprus, Czech Republic, Denmark, Estonia, Finland, France, French Guiana, Germany, Greece, Guadeloupe, Guernsey, Hong Kong, Hungary, Iceland, Ireland, Isle of Man, Italy, Jersey, Latvia, Liechtenstein, Lithuania, Luxembourg, Malta, Martinique, Monaco, Netherlands, Norway, Poland, Portugal, Puerto Rico, Romania, Slovakia, Slovenia, Spain, Sweden, U.K., the U.S., Reunion Island, Vatican City. The London-based company has previously launched iPad data plans for users in Hong Kong, the U.K., Spain, and Poland. By the end of 2017, Truphone hopes to introduce the same service for 30 countries, and anticipates that number will reach 50 by 2018. 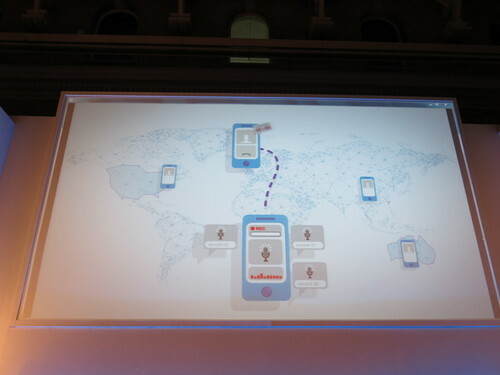 In addition to SIM-based data plans, Truphone also offers mobile plans for businesses and a mobile recording solution, which it showcased at FinovateEurope 2014. Truphone Mobile Recording enables businesses and banks to record, encrypt and store mobile communications securely, and without disrupting the user experience. Truefone has 11 offices across the globe and employs 400 people. Ralph Steffens is CEO. “The Dodd-Frank Act poses banking technologists with a technical and compliance problem. They must record all mobile phone communications relevant to a trade. Today, most banks do not record mobile devices, they fall outside of their technology stack. Communication is invisible; and that’s why the regulation now exists. Metrics: Raised over £200M, circa 700 employees in ten offices across four continents, counts 3 of the top 5 banks in the world as customers, plus many of the FTSE 100 and Fortune 1000.